Why Health Care At Home? Health care at home has been gaining popularity over the last few years, and it looks like that trend will continue as more and more elders need assistance. In 2007, roughly 12 million American seniors needed long-term care, and that number will double in the coming decades. Already, the home health care industry is filling a major gap in our health care system. There are so many things to consider when discussing elder care with your loved ones. It’s never an easy decision that can be made after chatting for a few minutes. Both you and your loved one have to sit-down, multiple times, and thoroughly discuss the advantages of home assistance and the pros and cons of other forms of elderly care. Although most people might think receiving health care at home is a no brainer because of the opportunity to grow old in the comfort of your own home, there are many more factors to consider. Here are a few reasons why some seniors do in fact decide to receive home health care. Despite the fact that your loved ones are aging and perhaps needing various forms of medical attention, the ability to maintain some familiarity is often so important to them. 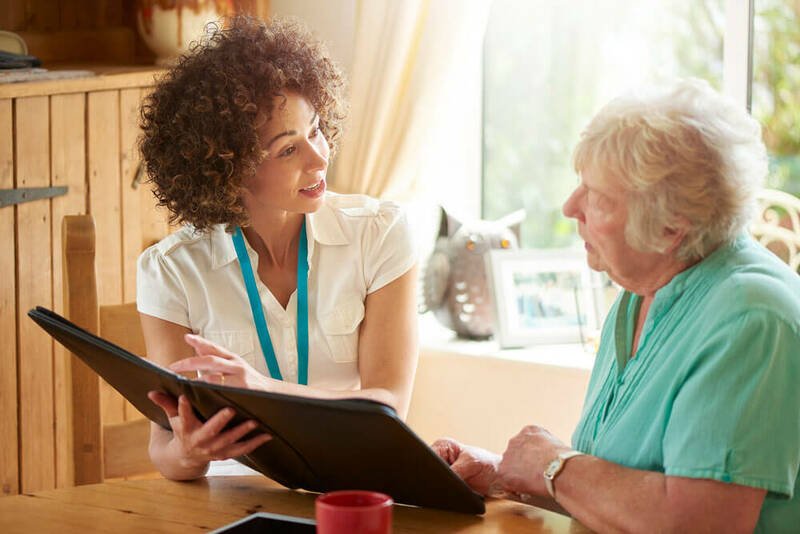 If your loved ones have reached a point where they absolutely need attention and assistance on a consistent basis, being able to provide that kind of service to them while staying in their own home is an amazing opportunity. Another benefit of your loved one receiving elderly care at home is the ability to stay in close contact with their friends and family. Although it’s still possible to stay in touch while living in assisted living facilities, it’s much more difficult to do so. When your loved ones remain in their homes, however, you, your relatives, and all your loved one’s friends can drop by whenever they want. Your senior relative will greatly appreciate this, and the regular contact will actually do wonders for their health as well. The health care professionals who work with your elderly loved one will be able to provide the personalized and tailored care that they need and deserve. Rather than just being a numbered patient inside a senior community, your aging parent will be the star of the show and receive wonderful medical attention and assistance. If you’re looking for health care at home for your aging parent or loved one in Sarasota, contact Youthful Aging Home Health today!